Progress in nanoscience and nanotechnology has pervaded almost all areas of science and technology. The ability to manipulate and control materials at an atomic and molecular level (nanometer range), the subsequent understanding of the fundamental processes at the nanoscale and the knowledge thus acquired is being translated into innovative processes, leading to design or fabrication of better products. More importantly, new scientific phenomenon and processes have emerged. The shift toward using nanotechnology with respect to the capture, transfer, and storage of energy has and will continue to have many positive economic impacts on society; it could provide either revolutionary or novel solutions to the energy challenges that will face humanity in the 21st century. The control of materials that nanotechnology offers to scientists and engineers of consumer products is one of the most important aspects of nanotechnology. In all of these new technologies, nanomaterials are increasingly playing an active role by either increasing the efficiency of the energy storage and conversion processes or by improving device design and performance and so providing for an improved efficiency of products across the board. The Figure below shows some of the applications which are using nanostructured materials as the “building block” for the next generation of technologies. new ways to capture, store, and transfer energy. All of those performance aspects can be improved through the use of particle engineering but the inherent level of control that nanofabrication could give scientists and engineers requires tools to be able to measure and quantify such systems. The Acorn Area is the ideal tool with which to study both the manufacture and processing of nanoparticle systems. Today’s best solar cells have layers of several different semiconductor materials stacked together to absorb light at different energies but they still only manage to use 40 percent of the Sun’s energy. Commercially available solar cells are typically only 15-20%. Collecting solar energy is intrinsically related to the total available surface area of the photosensitive particles used in constructing the solar panel. Particle engineering is one way to improve panel efficiency and there are a multitude of different nanoparticle strategies currently in development, including using nanostructures with a continuum of bandgaps to increase the efficiency of light conversion. Making particles smaller increases the surface area and hence the ability to capture more light per unit volume. Creating structures of nanoparticles necessitates an understanding of the surface chemistry of the particles. The Acorn Area is sensitive not only to changes in the extent of the surface but also the (chemical) nature of the surface and so provides an exquisitely sensitive tool with which to study fabrication processes. Moving energy from point A to point B is challenging. The Earth has many natural energy sources, just not in the right quantity, nor in the right place. Reducing transmission losses could save millions of dollars each year and nanotechnology offers some exciting possibilities to reduce such losses. Construction materials made from nanoparticles can be stronger but occupy less volume than today’s materials. This would reduce the footprints required for the construction and maintenance of pipelines and electricity transmission lines. 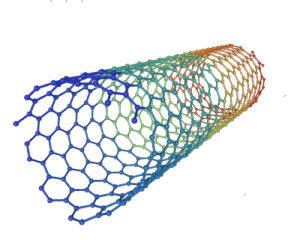 Examples of nanoparticles with the potential to impact energy transmission system development include carbon nanotubes (CNT), spherical carbon nanostructures (“buckyballs”) fullerenes and nanodots (quantum dots). One specific type of CNT is 30 to 100 times stronger than steel, conducts heat better than diamond and conducts electricity better than any other molecule discovered to date. Unfortunately, one of the most difficult challenges is scale up: nanoparticles need to be produced in commercially significant quantities and offer compelling advantages in order to justify the cost of replacing conventional energy transmission with nanotech based alternatives. The Acorn Area can work with almost any particle at virtually any concentration. Measurements can be made very rapidly. With no moving parts or alignment the Acorn Area can be used in flow mode to follow a process whether at laboratory scale or full scale manufacturing. Catalysts are used in a variety of ways in the energy industry. Catalyst efficiency is improved by increasing particle surface area. In addition, catalyst surfaces are heterogeneous; in some cases, only certain domains have any activity. Trickle flow catalysts are used extensively in refining. The efficiency of these catalysts is directly related to the wetted surface area of the catalyst. Hydrogen fuel cells require a noble-metal catalyst to separate the electrons from the protons of the hydrogen atoms. A key factor toward commercialization of the fuel cell technology is its cost competitiveness. The predominant cost driver is the amount of precious metal used. The use of carbon-supported platinum catalysts has significantly cut platinum requirements. Platinum particle size, crystallite surface area, metal dispersion on the carbon support and porosity of the catalyst layer are important features that determine the catalytic behavior in the operating environment. These features can be controlled by proper design of the catalyst synthesis process. Appropriate choice and modification of reagents and the carbon support can further influence the catalyst properties. However, catalysts of this type are extremely sensitive to carbon monoxide reactions. In order to combat this, alcohols or hydrocarbons compounds are used to lower the carbon monoxide concentration in the system. This adds an additional cost to the device. Using nanotechnology, catalysts can be designed through nanofabrication that are much more resistant to carbon monoxide reactions, which improves the efficiency of the process and may be designed with cheaper materials to additionally lower costs. The enormous surface-to- volume ratio obtained with nanoparticles essentially means that there are more atoms on the surface than in the particle interior. This can be used to significantly reduce the amount of catalyst required for fuel cells. Since the Acorn Area is sensitive not just to the extent but also the nature of the surface, it provides an exquisitely sensitive tool with which to monitor catalyst abrication as well as catalyst activity. Energy storage devices such as batteries utilize many coatings processes and, as such, the state of dispersion of the coating slurry is very relevant to product performance. All the comments in the Coating Applications discussion apply equally to the manufacture of energy storage devices. The anode of a lithium battery is typically a carbon based material. Researchers work to improve the performance of batteries by altering the morphology of the carbon particles. Smaller particles are desirable because they increase the anodic surface area and correspondingly the current handling capacity. Further, the increased surface area allows the electrolyte to surround individual particles for better accessibility of the electro-active material and also better control of the movement of the liquid. Particle shape is also important as sharp edges tend to concentrate electrical stress and decomposition leading to reduced battery life. The high-capacity and high-rate cathode materials in use today are agglomerates (with particle sizes in the range of 5-15 µm) comprised of primary particles having diameters in the range of tens to hundreds of nanometers. From the perspective of lithium-ion transport, nanostructured materials offer a shorter path length for lithium-ion diffusion compared to micron or sub millimeter-sized particles and hence offer better capacity utilization and discharge / charge rates. Under a simplistic assumption, the characteristic time constant for diffusion is given by t = L2/D, where L is the diffusion length and D is the diffusion coefficient. Therefore, the time for intercalation varies as square of the length scale and should be much faster for smaller particle domains. The Acorn Area can be used to follow aggregation processes in the preparation of these cathode materials. The battery making process is illustrated in the following figure. One of the key parameters is the mixing step between the binder and anode or cathode materials. Inadequate initial dispersion of the carbon or lithium in the matrix will result in a battery with compromised quality. Thus, getting the initial dispersion optimized is paramount. The two fundamental parameters that control any dispersion process are the extent of an interface and the interfacial nature (chemistry). The Acorn Area is sensitive to both and so can be used to improve dispersion formulation.